Bradford residents have relied on their local Bradford personal injury lawyers to protect their rights and provide the much needed relief from undue emotional and financial stress caused by personal injuries. BPC Law is one of the top recommended personal injury law firms in the Bradford and surrounding areas, delivering excellent results with a friendly and supportive service. Bradford personal injury lawyers specialize in motor vehicle accidents, public transportation accidents, motorcycle accidents, pedestrian accidents, slip and fall accidents, product liability, dog bites, and long-term disability claims, as well as accidents resulting in brain injuries, spinal cord injuries, orthopaedic injuries, and injuries resulting in chronic pain and psychological trauma. The legal team at BPC Law works with a network of medical professionals who will properly diagnose and effectively treat your injuries, allowing for maximum recovery. Our Bradford personal injury lawyers make home and hospital visits in order to protect our clients’ rights as early as possible and as a convenient option for those whose injuries prevent them from coming to us. If you or a loved one has sustained a personal injury, you are entitled to compensation. 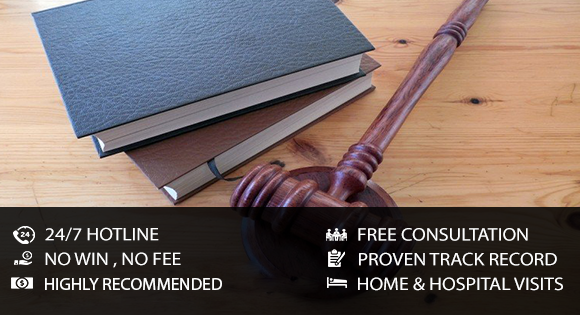 Contact us for a free consultation, and protect your rights. BPC Law has a proven track record of helping Bradford area residents obtain the maximum compensation they are entitled to. We work on contingency basis, which means you don't have to pay us anything until your case is won. Don’t suffer in silence; we are here to help. With years of experience dealing with a host of personal injury claims, we know that the Justice delayed is justice denied. This is the most important reason that you need to contact any of our experienced personal injury lawyers in Bradford. At BPC Law, we have helped thousands of victims get the compensation they really deserved, in lieu of the minor or horrific injuries the accident victims suffered. Irrespective of whether it is a vehicular accident or you were bitten by a ferocious dog, you suffered psychologically and physically, you deserve to be compensated for the trauma. AT BPC Law, we have spent years helping people get justice. We know that some of these accidents lead to irreversible damage such as traumatic spinal and brain injuries, rendering people paraplegic and quadriplegic. Other equally devastating orthopedic injuries include cartilage and nerve damage, damage to tendons and bones which can have an adverse effect on the life of the victim. Additionally, physical injuries and psychological trauma can render you immobile. While the mounting medical bills, and loss of employment can push you into a financial crisis. That is why you need to have an experienced lawyer in your corner so that your rights are protected. Talk with us today and we’ll be glad to be of assistance. Our legal team at BPC Law is experienced and skilled at successful negotiations, and can expertly pursue all personal injury compensation claims at varied levels of the Ontario Court.